Quemetco employs approximately 250 full-time individuals. The facility is unionized, with Teamsters Local #986 representing a majority of the facility’s workforce. While hourly positions do not require a college degree, wages for unskilled labor range from $22 to $30 per hour and skilled workers may earn up to $40 per hour. These wages include incentive pay for achieving certain safety, health, and environmental performance goals. The average tenure for Quemetco employees is 14 years, and many of the employees remain in their jobs for decades. Those with 45 years of service are awarded an automobile or truck. In the last ten years, five employees have achieved this milestone. 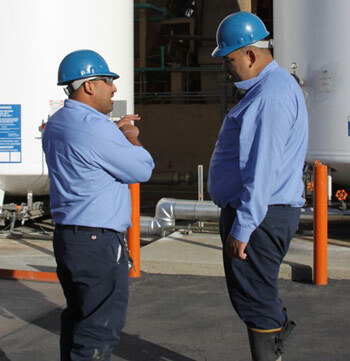 Quemetco has put in place an industry-leading program to ensure the health and safety of all of its employees. The company requires all employees inside the processing and material handling buildings to utilize respirators and other advanced safety equipment, conducts routine health and safety training for all employees, and provides comprehensive annual health screenings to ensure that Quemetco continues to be a safe work environment.